After appearing in various leaks, HMD finally launched its own global cheapest smartphone that became Nokia 2. With the launch of this cheap smartphone makes the company can target all market segments. As a low-end smartphone, certainly the specifications that carried this smartphone is not amazing, but interesting enough to see. 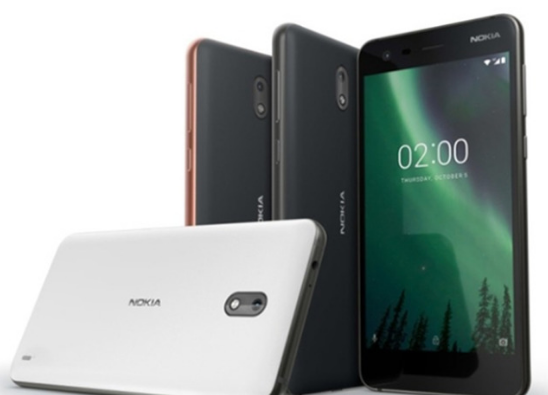 Just like the Nokia 3, this smartphone has a 5 inch screen with 720 × 1280 pixels HD resolution, but the difference Nokia 2 using the navigation buttons on the screen, unlike the Nokia 3 that uses capacitive buttons. In addition, because this smartphone is an entry-level device, reasonable if the body used is not made of metal. Shifting to the jeroannya, this smartphone is powered by Qualcomm Snapdragon chipset 212 which has quad-core processor 1.2GHz Cortex-A7 and GPU Adreno 304. Nokia 2 has a capacity of 1GB RAM and 8GB of internal storage that can still be expanded using a microSD. For operating system that runs Android 7.1 Nougat will get Android Oreo update. The main selling point of this smartphone is the battery capacity of 4.100mAh which is claimed to last up to 2 days when the smartphone is in normal needs. Nokia 2 equipped with main camera 8MP resolution and 5MP selfie resolution camera. This smartphone also supports LTE 4G network. Currently Nokia 2 has been launched for the Indian market, while for the international market is expected to slide in mid-November. This entry-level smartphone is priced at quite cheap, ie 99 Euro or equivalent to Rp1, 5 million. While for the color choices there are options Copper Black, Pewter Black, and Pewter White.